Is Peppestone the broker you have been looking for? Or is it a FX broker you should avoid? Check out our Pepperstone Pros and Cons and make that decision on your own. Overall Pepperstone is one of our top recommended Forex brokers. But with every broker none of them are perfect. We have compiled a list of Pepperstone Pros and cons for 2019. Excellent trading conditions – Pepperstone upgraded their trading platforms offering liquidity and spreads that have previously only been available, in general, to institutional clients such as banks and hedge funds. Fast execution and low cost trading – Spreads as low as 0.0 pips and one of the faster execution speeds on our list, make pepperstone an ideal broker for trading. ASIC and now FCA regulated. ASIC and FCA are two of the top regulator bodies for retail forex brokers. (Australian Securities and Investment Commission (ASIC) and the Financial Conduct Authority (FCA) ). #1 in customer service – This is according to pepperstone its self, claiming to be #1 in customer service shows they are at least very dedicated to customer service and continual improvement. Well respected broker – Pepperstone is a leading retail Forex broker and is well known in Australia as being one of the most reputable Forex brokers in Australia. Deposit methods – Pepperstone offers many deposit and withdraw methods including Credit / Debit Card, PayPal, POLi, China Union Pay, Bank Transfer, Bpay, Skrill, Neteller, Qiwi, Fasapay, and Broker to Broker. 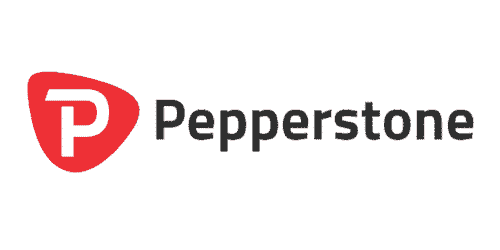 One of the largest Retail brokers – Pepperstone is one of the world’s largest FX brokers with an average daily trading volume of $5.8 Billion US dollars. US traders not allowed – Because they do not have an office within the united states and are not NFA regulated they cannot account accept US Clients. Not recommended for “fresh” or beginner traders. With a bit higher starting deposit of $200, it is not the best for traders just starting in Forex. No guaranteed negative balance protection – in the event your account moves into a negative balance scenario, Pepperstone doesn’t guarantee negative balance protection and may waive your negative balance on a case by case basis.